Bhramari Brewing Company hasn’t always been our name. As many have found out in this brewing industry, it is hard to find a name that isn’t already taken, but that doesn’t mean it stops being who we are. 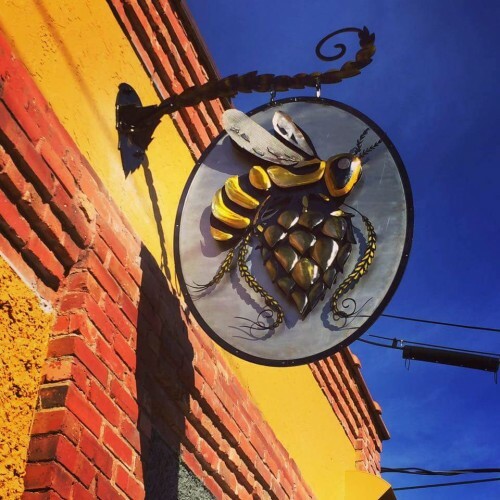 “Hive Mind” was more than just the original name for our unique brew pub when it was conceived -- it was its founding core. It was dreamt up to be a creative collection of artists sharing their knowledge with each other to build something bigger than any could build by themselves, and the reality has become even better than the dream! There are always challenges to opening any business, but our mission has remained true as Bhramari Brewing Co. is built by the individual talents of our team everyday. Not only has it become a fun place to work, but it has become a place for team members to grow and feel like they’re a part of something bigger than themselves. 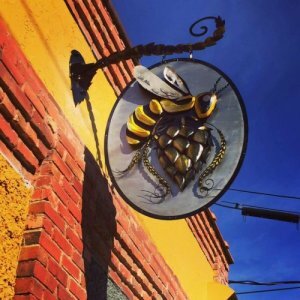 With passions celebrated and shared freely, our beer, food, and business have become the better and more unique for it…and so it is a more unique name that suits us today: Bhramari Brewing Co. The world’s first word for black bees and the Hindu Goddess of bees, we celebrate this world’s infinite offerings of flavor inspirations to play with and create something completely unique and special just for you. Culinary inspired, locally and globally infused, and experimental at its heart – we at Bhramari Brewing Co. want to always create what inspires us so that you might be inspired as well. Find balance, find whimsy, and discover something completely new in every sip of a Bhramari brew!